Greg Eberle, Chairman of the Medical Committee for State Basketball Tournament and Summer Games, said medical volunteers are “more than a glorified First Aid station.” Many of medical volunteers at state-level events are athletic trainers (like Eberle), nurses or EMTs who are trained to identify certain conditions that need further aid like muscle strains and sprains, seizures and blood sugar issues. “We are there as support staff to parents and coaches who know their athletes,” Eberle said. “We can help control the situation and ensure that no improper decisions are made,” adding that quick identification of the medical situation, treatment and follow-up for injuries of all athletes allow them to experience minimal downtime in competition. 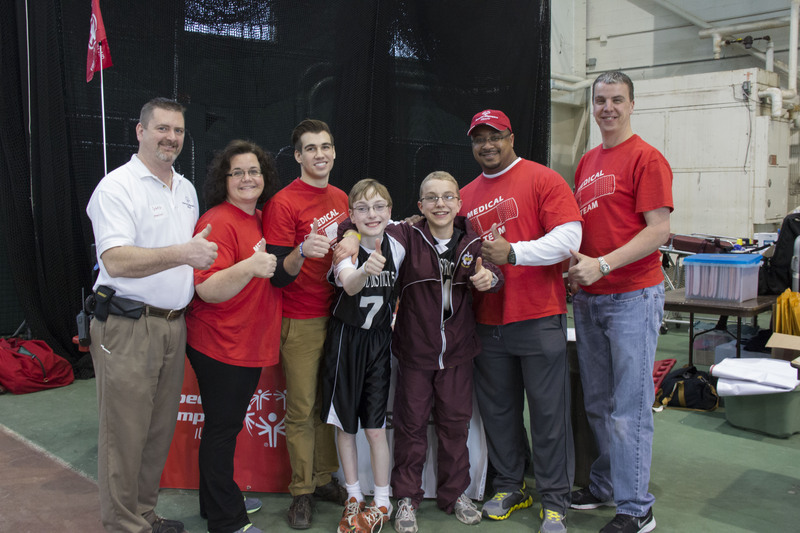 While Special Olympics provides medical coverage at all events, Eberle would like to see more in the medical profession become involved with Special Olympics. 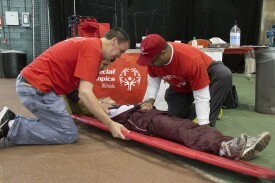 “Many medical personnel have misconceptions of what it means to volunteer at Special Olympics events,” he said. 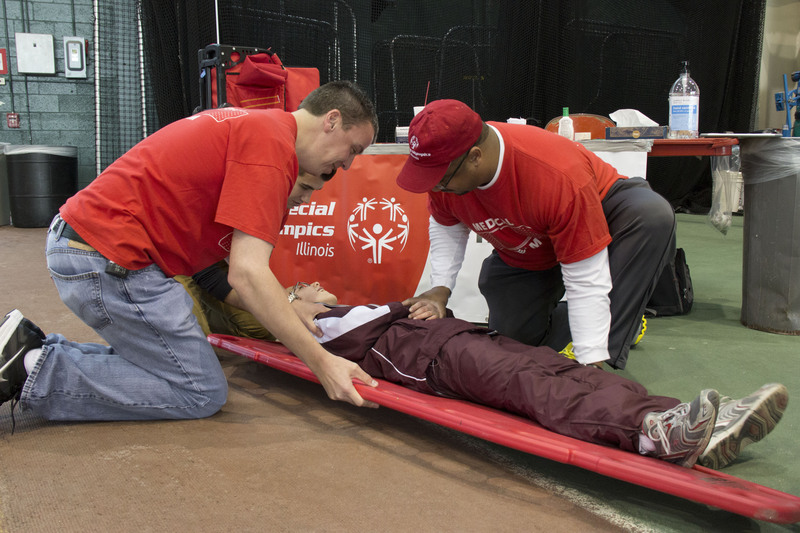 One medical group that has made a commitment to covering Special Olympics events is Athletico Physical Therapy in the Chicago area. Amy Kaylor, Manager of Sports & Competition for Far West Suburban/Area 2, said the Area began working with Athletico about four years ago after coach Joy Pierson mentioned the firm provided athletic trainers at her high school. Since then, Athletico has become an Area partner for both Area 2 and North Suburban Cook/Area 18. “They provide a lot of extras,” said Kaylor, including providing their own medical bags and equipment. In exchange, the Areas recognize Athletico in printed materials, display the company’s sponsor banner at events and include information about Athletico in spoken comments during events. If you are interested in volunteering as medical personnel, please contact Greg Eberle.